After watching the video all I can seem to think of is, can they pull it off? This is without a doubt a massive undertaking and failing to make this show and game work means failure on two fronts and a lot of people out of money. With the budget this show has to be working on a lot of people stand to lose a lot of money, so hopefully this show works out for them on that reason alone. But deep down, I have to admit to being interested in the story. Aliens crash on earth and battle ensues is not something new to fans of the sci-fi genre but this unique look we’re given from the preview has me curious as to how exactly it plays out. We’ll see in early to mid 2013 if Defiance works or if it crashes like the shows aliens. 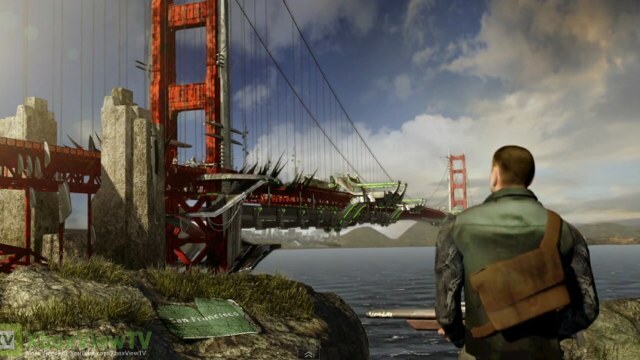 ← GI Joe gets pushed back to March 2013 for 3D conversion.